Our female driver-partners stand strong and proud as independent driver-partners of Grab. 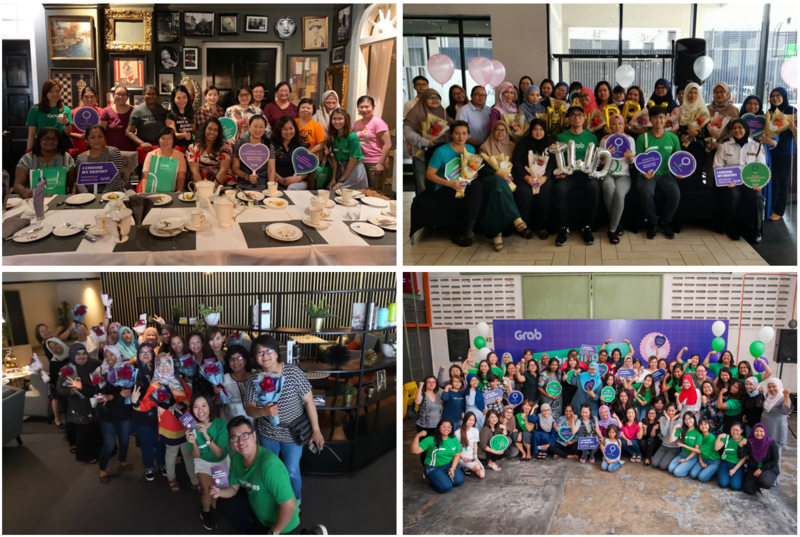 This International Women’s Day, we hosted an Afternoon Tea across 7 cities to celebrate our unstoppable female driver-partners and to show our gratitude for the hours they put behind the wheel. These cities included Klang Valley, Penang, Ipoh, Melaka, Johor Bahru, Kuching and Kota Kinabalu. The main highlight of the Afternoon Tea was the sharing session where some of our top-performing driver-partners took the opportunity to share their driving experience. Attendees learned more on how to maximise their earnings along with tips on safety precautions and how to deal with difficult situations while driving with Grab. Driver-partners were all smiles while posing for photos. We would like to thank each and everyone of you for your hard work and effort towards driving empowerment on our platform. Stay tuned for more events in the future and let us continue to drive SEA forward together!